OneDesk’s allows customers, or potential customers to communicate with your company using email addresses provided to them. For instance, a customer may submit a piece of feedback that may be later identified as a potential sales lead. This item can then be forwarded directly into the OneDesk application to be analyzed and managed further. 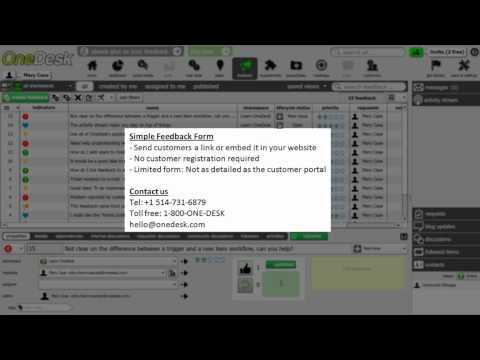 OneDesk offers various new and innovative methods for generating and capturing leads. The forwarded emails will appear within its corresponding application within OneDesk. Emails identified as a potential lead will arrive in the all feedback view.